The feature (pictured) from director Lea Pool claimed six awards in all, with Felix and Meira, Guibord s'en va-t-en guerre and Brooklyn also picking up prizes. Léa Pool’s La passion d’augustine was the big winner at Sunday’s Le gala due cinema Quebecois 2016, taking home six awards including the prizes for best picture and best director. In addition to the best picture and best director prizes, La passion - produced by Montreal-based Lyla Films – also claimed awards for best actress (Céline Bonnier), best supporting actress (Diane Lavallée) best hairstyle (Martin Lapointe) and best costume design (Michèle Hamel). Felix and Meira, written by Alexandre Laferrière and Maxime Girou, won the best screenplay prize, while Philippe Falardeau’s Guibord s’en va-t-en guerre took home three awards for best supporting actor (Irdens Exantus), best original score (Martin Léon) and best picture editing (Richard Comeau). The gala was the first under its new name, recently changed following allegations of child abuse surfaced regarding the award’s namesake, Claude Jutra. Elsewhere, Canada/Ireland/U.K. 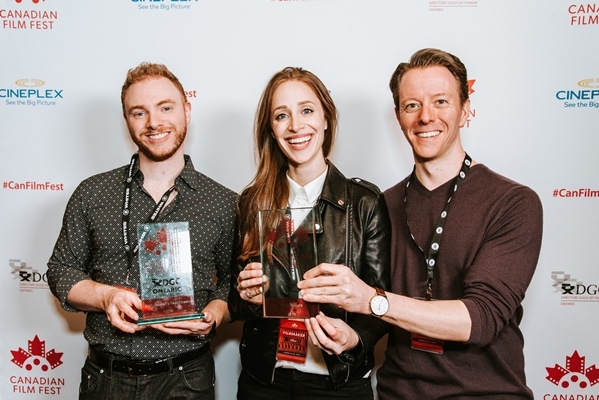 coproduction Brooklyn picked up a pair of prizes for best art direction (François Séguin) and best direction of photography (Yves Bélanger), while Gilbert Sicotte won the best actor prize for his role in Paul a Quebec. In the documentary categories, Patricio Henriquez’s Uighur Prisoners of the Absurd won the best feature doc award, with François Jaros’ Maurice winning the award for best short or medium-length fiction and Claude Cloutier’s Autos Portraits claiming the prize for best short or medium-length animation.